Just yesterday, WhatsApp, a company that is owned by Facebook don’t forget, announced a new update for iOS. This update, which is rolling out on all iPhones supported by the messaging service, carries the version number 2.19.20. Thanks to this latest version of WhatsApp you can now block the client itself using the biometric security system available on your iPhone. This means that owners of iPhone XS Max, iPhone XS, iPhone XR and iPhone X will be able to protect their chats with Face ID face recognition, while owners of previous models will be able to rely on Touch ID fingerprint reading. 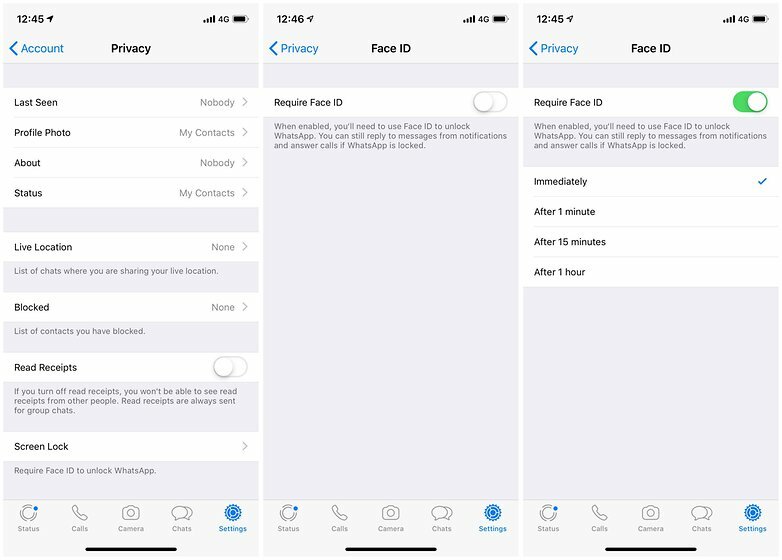 How to block WhatsApp with Face ID or Touch ID? On this screen, you can also choose whether to request authentication every time the app is opened, every minute, every 15 minutes or every hour. No more than usual. Setting up a biometric security system to open WhatsApp will only duplicate the security system already in use on your iPhone. Anyone who knows their smartphone PIN can also access WhatsApp. In addition, notifications will still be visible in case that the iPhone is unlocked and you can still answer chats and calls without opening the application. However, it is an extra level of security that will please the many users who have been asking for this feature (loudly). The update should also be available on Android smartphones in the future. I find it useless to use the same type of biometric unlock twice. Have you already downloaded the update? Is this something you have wanted on WhatsApp?